The Imperforate proof folder is limited to 300 and is sold on the original printer card from Cartor Security Printers in Paris who have produced the stamps. 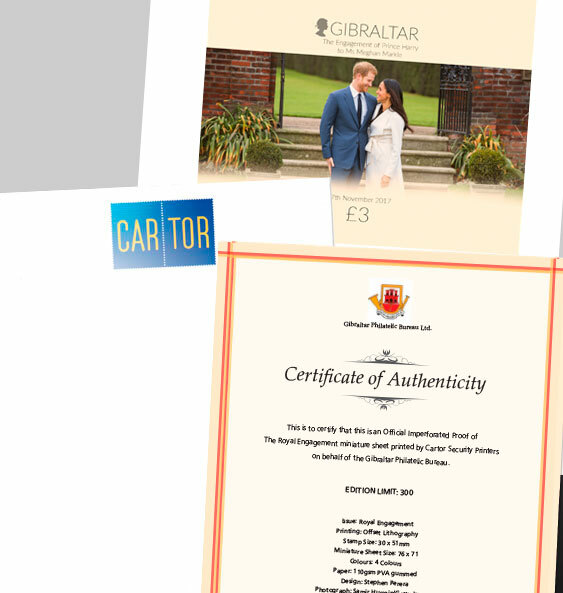 These are original proofs of this issue and include an imperforate proof of the £3 miniature sheet and a signed certificate of authenticity. A truly remarkable collector’s item!